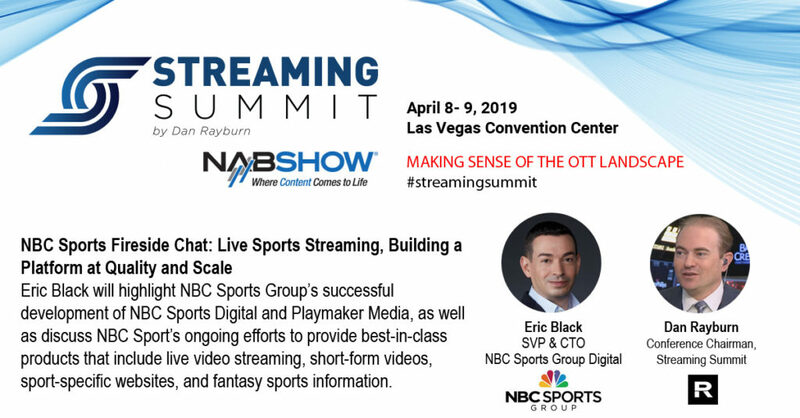 NBC Sports Digital and Playmaker Media regularly stream some of the most prestigious properties in sports and have focused on both high concurrent traffic and scale, and now operate on more than 20,000 events per year, resulting in billions of consumed minutes. 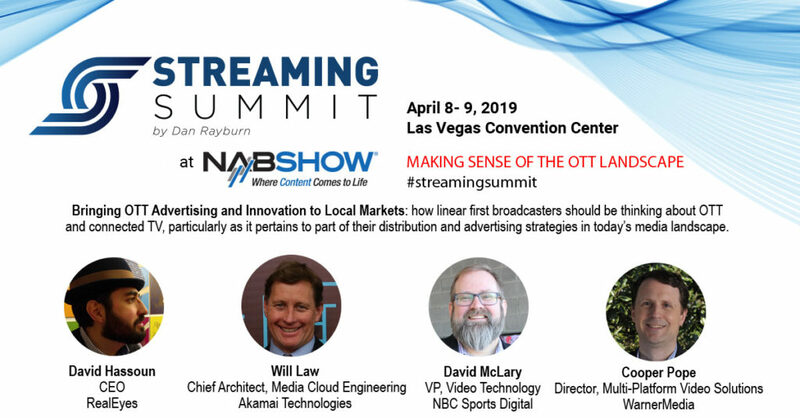 At the Streaming Summit, taking place April 8-9, at the NAB Show, Eric Black, SVP & CTO, NBC Sports Group Digital and Playmaker Media, will highlight NBC Sports Group’s successful development of NBC Sports Digital and Playmaker Media, as well as discuss NBC Sport’s ongoing efforts to provide best-in-class products that include live video streaming, short-form videos, sport-specific websites, and fantasy sports information. I am conducting a quick anonymous multi-choice survey looking to hear from broadcasters, OTT platforms and publishers on how they measure QoE video performance across devices. One respondent will be randomly chosen and will win an Apple TV. Delivering media content at scale for local, regional and global audiences requires content to be made available for successful consumption on many devices and in a range of different user environments. 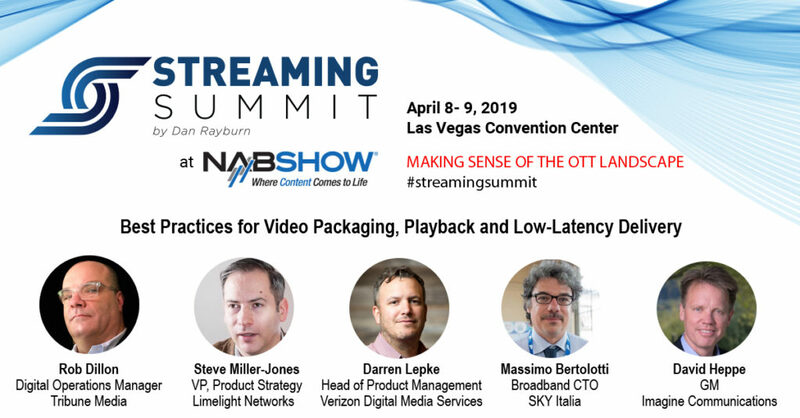 OTT offerings are proliferating, as major studio-broadcasters and other industry participants look for new ways to monetize their content assets, responding to growing consumer demand. 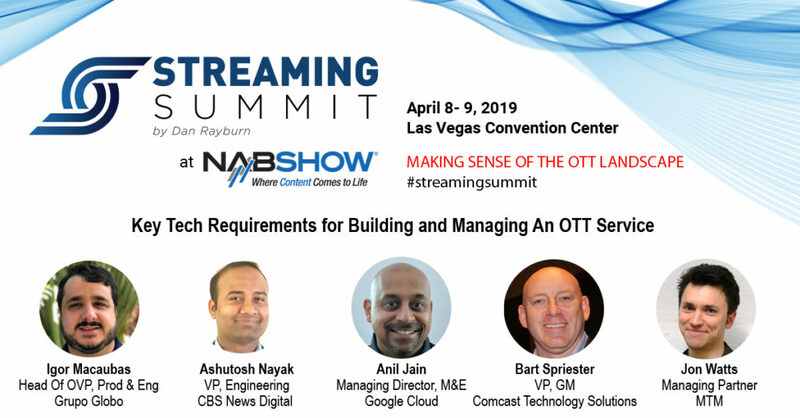 However, developing, launching and operating a high-quality OTT offering remains challenging, in terms of technology and operations.